WHY IT RATES: With a bit of a new identity, Memphis hopes to move forward with a clearer vision of what they offer as an awesome U.S. destination for any type of traveler.—Michael Schottey, TravelPulse Director of Digital Content. Guided by feedback and intensive audience research that included a competitive set analysis, the goal of the logo redesign was to embrace the brand equity of the previous logo introduced in 1995. The refresh features a bold and whimsical script font with a guitar sweeping across the entirety of the Memphis text. Long known as the “Home of the Blues, Birthplace of Rock ‘n’ Roll,” the new tagline for the destination embraces soul music that came out of STAX and Royal recording studios. 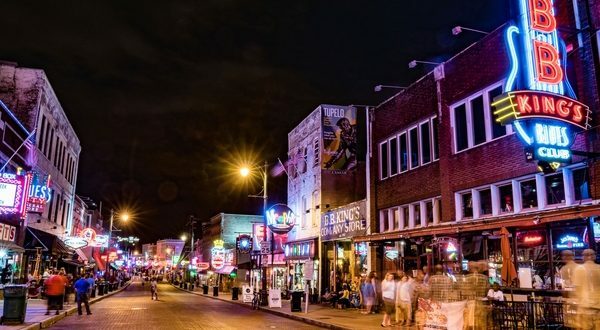 “Home of Blues, Soul & Rock ‘n’ Roll” widens the appeal and awareness for the distinctive Memphis sound that continues to be the number one travel motivator for visitors to the city. The new Memphis logo and “Home of Blues, Soul & Rock ‘n’ Roll” tagline will be featured in multi-platform consumer and trade marketing campaigns that will work to attract an increasing number of leisure and meetings & convention visitors to the area. In 2017, Memphis welcomed 11.7 million visitors, nearly a half million increase from the previous year. The local tourism industry generates $3.3 billion in direct visitor spending and over $260 million annually in state and local taxes. For more information on the new Memphis Tourism identity and to view a video that explains the data driven decision process, visit: memphistravel.com/brand-toolkit. Digital assets for media can be downloaded at this link to the Memphis Tourism digital asset library.